The LCFP is a non-profit organization dedicated to helping provide food for the hungry in our area. Just down the road from Mt. Zion, it is located at 109 Forbes Loop in Grandy near Food Lion. Our Red Wagon Ministry helps to build relationships with neighbors while providing useful free items to those in need. Volunteers and donations of necessity items and children items are appreciated! 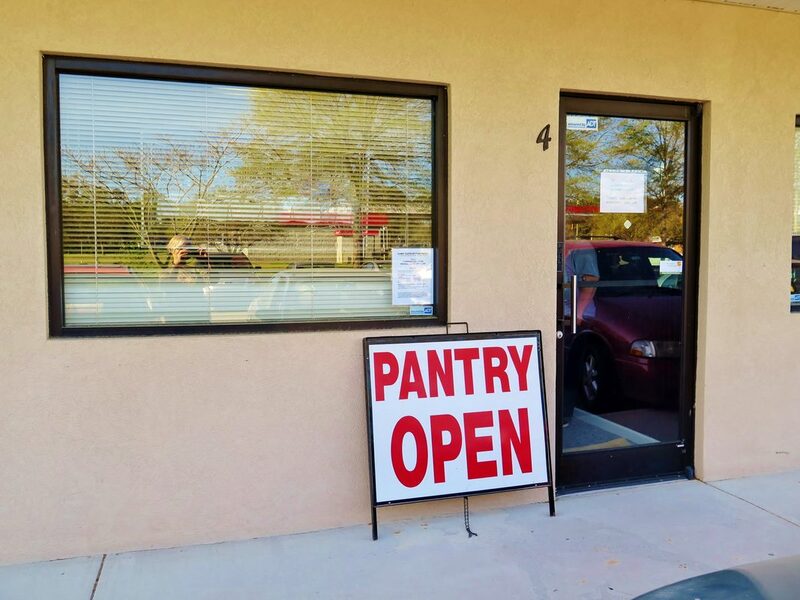 The Red Wagon distributes from a location next to the Lower Currituck Food Pantry on the last Tuesday of each month. Please contact the church office for more information. This United Methodist Organization is dedicated to alleviating human suffering around the the globe and providing emergency resources. Supporting the fight to end cancer and giving hope to those in the battle. Mt. Zion UMC sponsors Relay Fund Raisers and participates in the annual county-wide event. The ARC bloodmobile comes to our area providing community donors the opportunity to "Give the Gift of Life"
Wednesdays 10 AM to 2 PM. Or call the Dare County site: 252-480-0070. 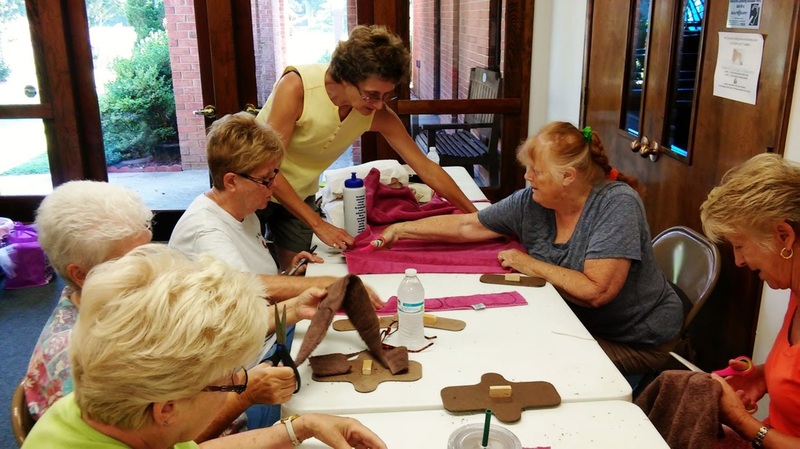 The Joyful Hearts Ladies Bible study group meets weekly. They also support young girls overseas with their Luoh pads mission. New ladies are welcomed! 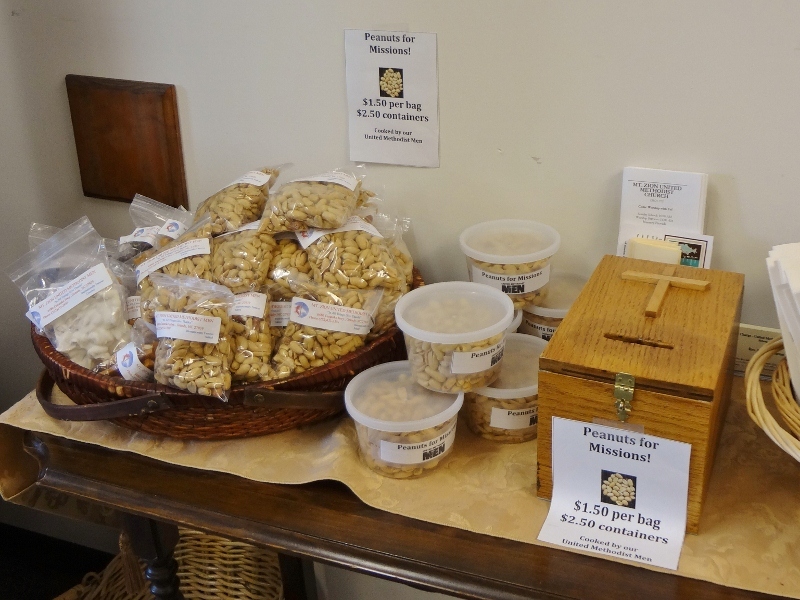 The United Methodist Men cook Peanuts for Missions including specialty peanut brittle and chocolate covered nuts. Click on image for closer view. *Gleaning Corn in the summer for the Lower Currituck Food Pantry. *Joyful Hearts providing needed items for women in Armenia plus Teddy Bears for Children in Crisis situations. *United Methodist Men's Peanuts for Missions - church cooked by the men who also do mission work with the District Work Trailer. In December, they also offer "Cookies in a Jar" to raise funds for more missions. *Christmas shoe boxes full of school supplies for children in Armenia and Samaritan's Purse - "shoe box" gifts for children overseas.